Waste disposable in a revolutionary way with EKO’s Phantom butterfly bin. 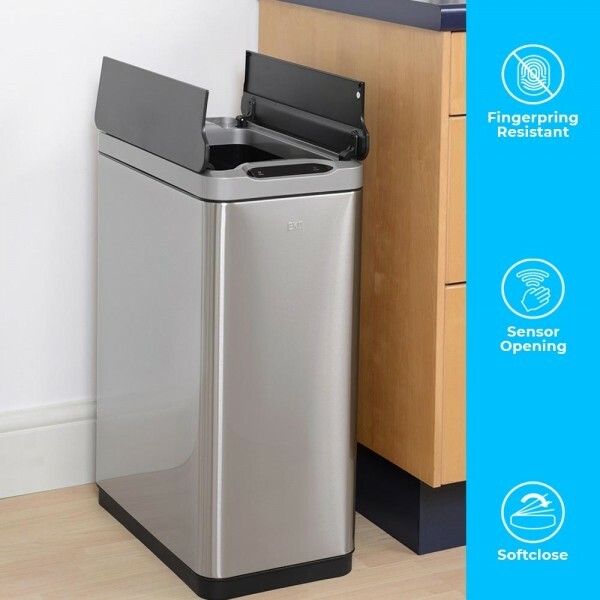 Integrated with a smart digital sensor, this automated bin lets you dump your rubbish effortlessly as it provides a hands-free open and close operation. 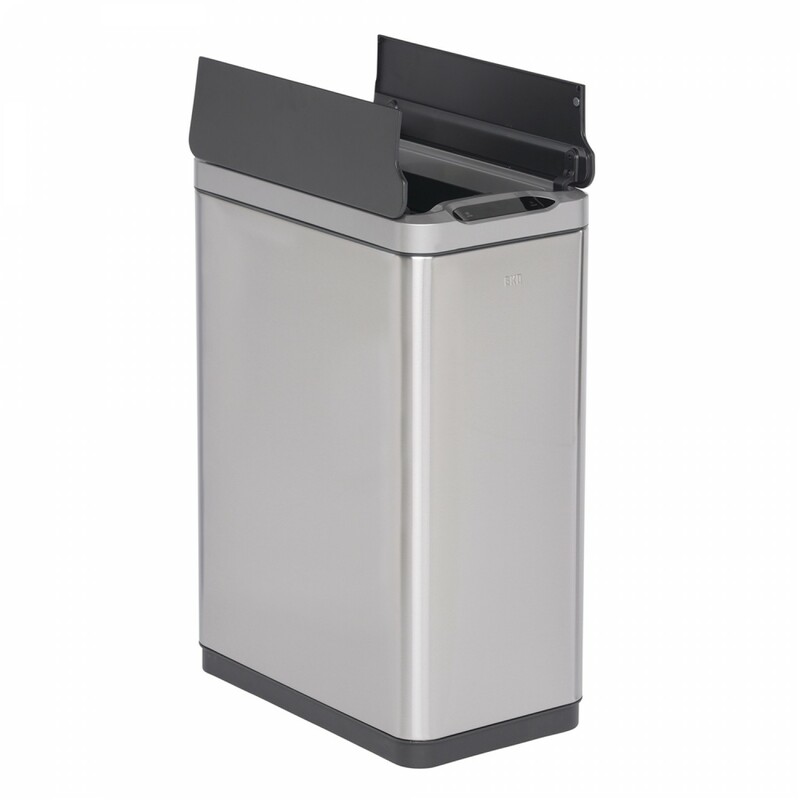 This slim, space-saving slim rectangular automatic bin features a split open from the centre like a ‘butterfly’ lid which enables it to fit comfortably under worktops and breakfast bars. Inner hinges mean it can stand flush with an upright either side. 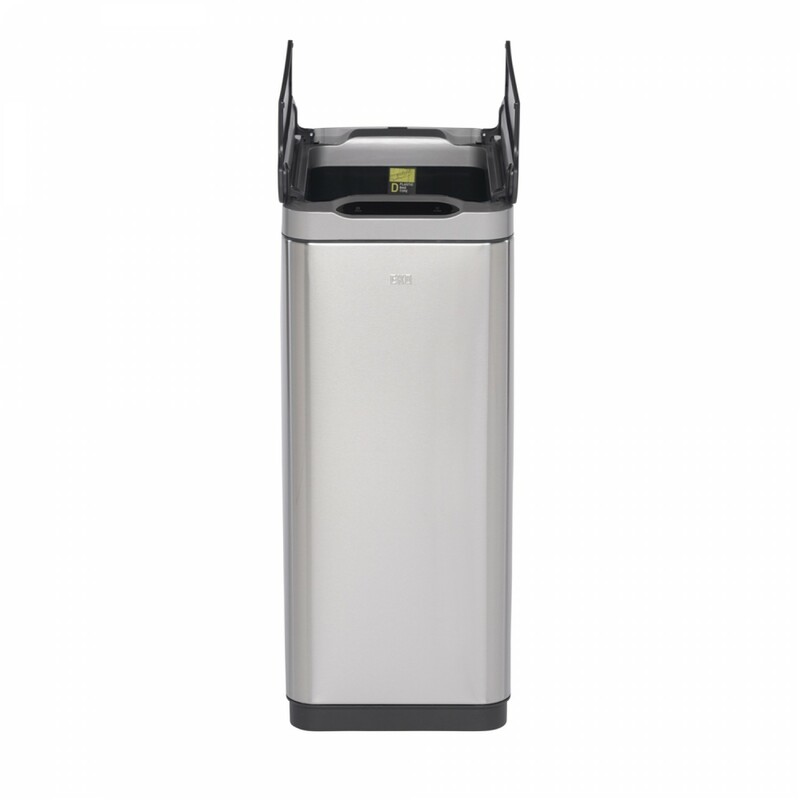 EKO 50 Litre butterfly bin is the most elegant and sophisticated Motion Sensor waste bin, that is almost perfect 50 litres kitchen rubbish bin for a busy home and office environment. Ideally suited for those narrow, tall, restricted & tough spaces that allow you to capitalise on space. 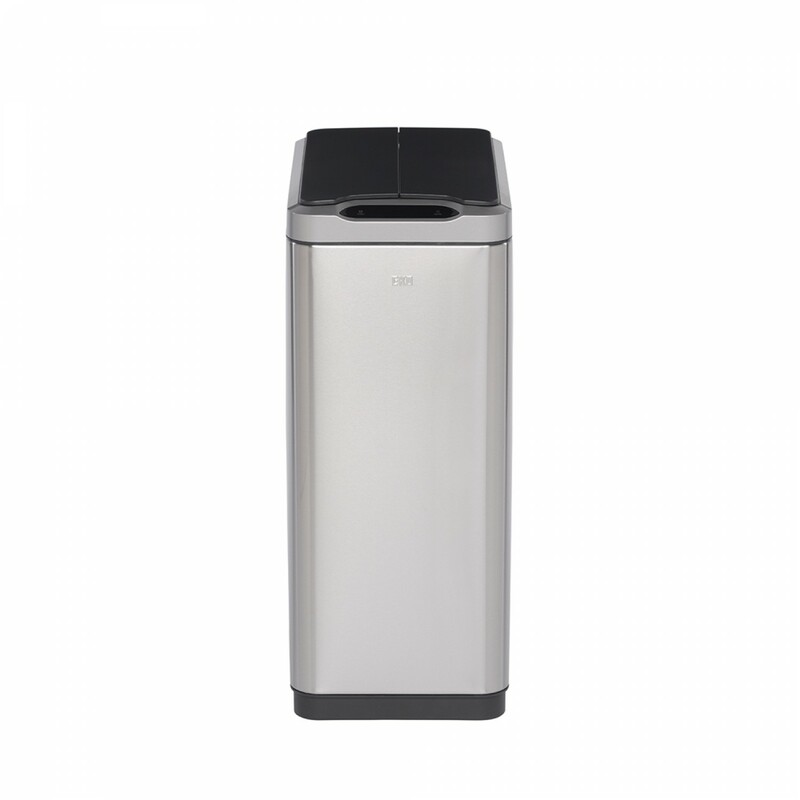 It's a smart waste disposal storage, which means it helps you keep your home hygienic, clean and certainly tidy. But most impressive is its butterfly lid that opens from the middle outwards. This means that that the lid is smaller, so the litter bin fits more comfortably in-between household appliances, kitchen cabinets and underneath worktop surfaces. The sleek rectangular flat sided design also sits well against the end of any island or snuggling against kitchen cabinets. The new 2017 automatic butterfly bin, now has infrared motion sensors built into the lid, with a digital countdown display indicators, hence opens on the approach of your hand, elbow or even your backside when your hands are full. This allows you to comfortably dispose of your unneeded waste without the need of embracing with the dustbin. The lid closes automatically, softly and quietly just after 6 seconds. However, the kitchen waste butterfly bin can be over-ridden by simply pressing the open and close button as a manual function. Should you be frustrated with pet’s children or guests been playful with the autobin, simply lock it by switching off the sensors! This gives you the opportunity to open and close the lid manually. 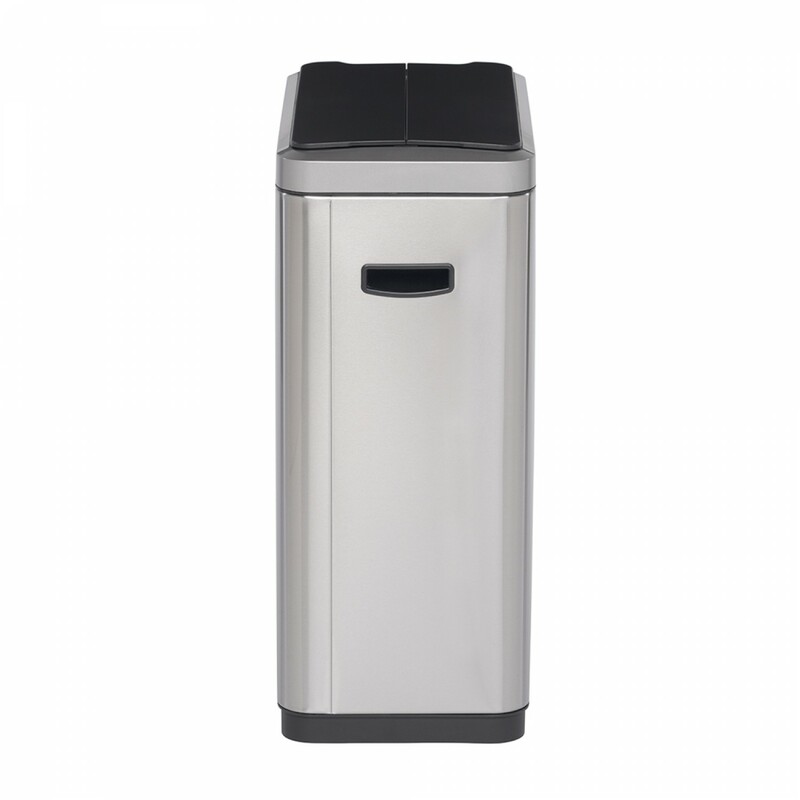 The Eko Phantom refuse bins is constructed from a sleek exterior made from silver matt Stainless Steel, with a smudge, smear, fingerprint and rust resistant finish that stays looking cleaner longer. It has a unique vented plastic base for easy cleaning and odour control. it has an intelligent bag system that offers a removable rim that secures your disposable plastic bin liner in place and certainly out of vision, No ugly bag hanger over. The rim has two folding interior handles to wrap your bag around for a nice and tidier look. The handles then fold down and lock into place. Grip the same handles to lift your bag out and empty the household waste! it's clean, convenient, and smart. 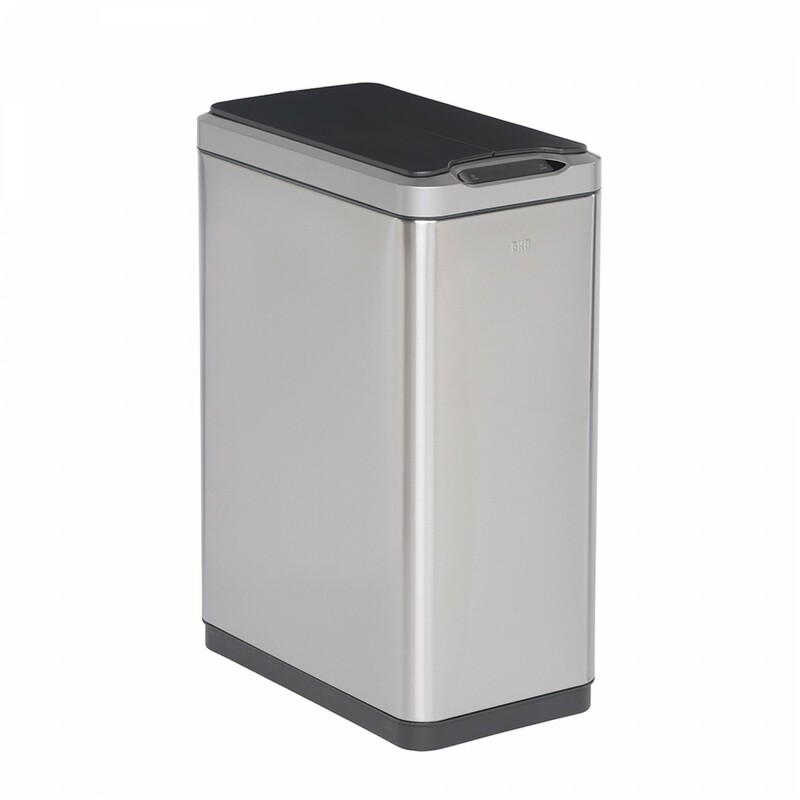 We believe this is probably the most stylish, elegant and innovative bin that meets modern living.